We have excellent footing in our indoor and two outdoor arenas. There is a 65' round pen located near the arenas. The mile long trail encircling the pastures is a great place to get horses out of the arena and features cross country obstacles and a seasonal water feature. 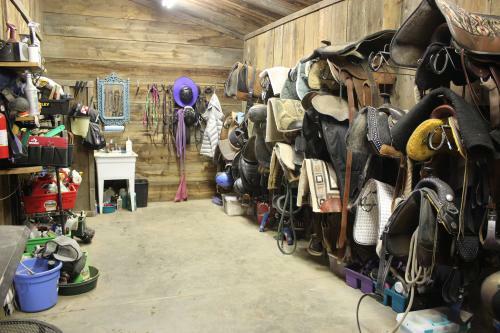 The tack room is heated and has a seating area with a window so you can warm up and watch the arena simultaneously. There is hot water in the wash rack.